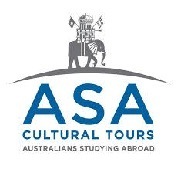 Average rating of 0.0 for all ASA Cultural Tours trips. Christopher Wood, with the assistance of Dr Christopher Gribbin shows how Greek, Roman, Byzantine, Croat, Venetian, Austro-Hungarian and Turkish culture and trade travelled the sparkling Adriatic as you journey along Croatia’s magnificent panoramic coastline. Chart the Roman Empire’s Balkan history through grand monuments like Pula’s huge amphitheatre and Diocletian’s monumental palace at Split, later transformed into a medieval fortified town. Visit a masterpiece of the Byzantine world in the Euphrasian Basilica in Porec, with mosaics to rival Ravenna. Journey through the Plitvice Lakes National Park, one of Europe’s scenic wonders. View some of Europe’s greatest Romanesque monuments in Zadar and the tiny island city of Trogir, with its superb cathedral portal sculptures. Appreciate masterpieces of Venetian architecture like the Cathedral of St James in Šibenik and Dubrovnik’s churches and palaces. Skirt Montenegro’s deep fjord, fringed by awesome mountain ranges, to the medieval town of Kotor. Walk the well-preserved walls of Dubrovnik, and learn how this city-state avoided dominion by Venice and the Ottomans. Enjoy cosmopolitan Trieste and the picturesque Miramare Palace. Journey to the rejuvenated, historical Bosnian city of Mostar and see the beautiful 16th-century Ottoman Old Bridge, one of the country’s most recognisable landmarks. Spend a leisurely 2 nights on the island of Hvar, famous for its crystal blue seas, mild climate, lavender fields and the medieval Venetian port. Lectures and site visits by art and architectural historian Dr Iva Rosario. Visit the Reichstag Conversion and walk inside Norman Foster’s Reichstag glass cupola for a spectacular view over the city. Led by a local architect explore the Potsdamer Platz, Berlin’s spectacular ‘gallery’ of modern architecture. View the remarkable collections of art & antiquities gathered from both halves of Berlin at the Pergamon Museum, the Gemäldegalerie & the Alte Nationalgalerie. Excursions to the beautiful palaces of the Prussian monarchy at Sanssouci and Charlottenburg. Tour Daniel Libeskind’s Jewish Museum. Attend a musical performance at the Berliner Philharmoniker, one of Berlin’s great theatres. 8 nights based in the 5-star Swissôtel Berlin, located in the heart of West Berlin, 150m from the Kurfürstendamm Underground Station. Explore some of the world’s major art collections at the Musée du Louvre, the Musée d’Orsay, Musée Rodin, Musée Marmottan, the Pompidou Centre and the Fondation Louis Vuitton – a contemporary art museum designed by Frank Gehry. Dine at famous places, such as Le Train Bleu, the grand Belle Époque restaurant at Gare de Lyon; the oldest restaurant in the world Le Procope and Les Ombres, designed by Jean Nouvel with unique views of the Eiffel Tower. Join John Patrick, horticulturalist, garden designer and presenter on ABC TV’s Gardening Australia, to tour the gardens of five distinct regions of Italy. Enjoy the magic of northern lakeside and island gardens including Villa Carlotta, Villa del Balbianello, Isola Bella and Isola Madre. Meet Paolo Pejrone, currently Italy’s leading garden designer, and view his own garden ‘Bramafam’, the estate of the Peyrani family and, by special appointment, the private Agnelli Gardens at Villar Perosa – one of Italy’s most splendid examples of garden design. Tour through the Piedmont exploring the great estates of the House of Savoy including the Castello di Masino. View the work of Russell Page with visits to the private gardens of San Liberato and Villa Silvio Pellico. Visit intimate urban gardens in Florence and Fiesole including Le Balze, designed by Cecil Pinsent, the secret gardens of Villa Capponi, and the Giardini Corsini al Prato. Ramble through the historical centres of lovely old cities like Turin, Lucca, Siena, Florence and Perugia. Encounter masterpieces of Italian art in major churches and museums. Enjoy delicious meals in the verdant surrounds of a number of private Tuscan and Umbrian villas including Villa di Geggiano, Villa Vignamaggio (featured in Kenneth Branagh’s film Much Ado About Nothing) and Villa Aureli. Explore the great Renaissance garden designs at Villa La Foce, home of Iris Origo, author of the famous Merchant of Prato, and Villa Gamberaia at Settignano, described by Edith Wharton in her book Italian Villas and Their Gardens (1904). Marvel at the meeting of culture and nature in Paolo Portoghesi’s stunning gardens at Calcata. Appreciate historic masterpieces like Villa Lante and Villa d’Este, Tivoli, and the Giardini di Ninfa. Discover the ‘rose regions’ of Umbria and Lazio with visits to Palazzo Patrizi and San Liberato. Conclude with a visit to the private gardens of Torrecchia with designs by Dan Pearson and Stuart Barfoot, considered “one of Italy’s most beautiful private gardens”. Join John Weretka to explore the art, architecture and music of Belgium and The Netherlands from the economic powerhouse of medieval Flanders through Holland’s golden age to masterly Art Nouveau and contemporary architecture in Brussels and Antwerp. Explore the great Gothic Town Halls, churches and merchant palaces of Brussels, Bruges, Ghent and Antwerp. View masterpieces by Northern Renaissance painters such as Jan van Eyck, Rogier van der Weyden, Hans Memling, Hieronymus Bosch, Lucas Cranach, and Pieter Bruegel the Elder in some of Europe’s greatest museums. Feast your eyes on hundreds of masterpieces like van Eyck’s Adoration of the Lamb, a host of Brueghels, Rembrandt’s The Nightwatch, and Vermeer’s Girl with a Pearl Earring, View of Delft and The Milkmaid. Visit the ‘Golden Cabinet. The Royal Museum at The Rockox House’ combined collection of Nicolaas Rockox, burgomaster of Antwerp and patron, and Antwerp Museum of Fine Arts including works by Jan Brueghel I, Peter Brueghel II, Peter Paul Rubens, Anthony Van Dyck, Jacques Jordaens, Jan Van Eyck and Hans Memling. See the work of the most significant sculptor in Belgium during the Renaissance, Jacques du Broeucq, trained in the Rome of Michelangelo, in Mons. Trace the career of Belgium’s great Surrealist artist, René Magritte, in his Brussels museum. Explore music through the ages in The Netherlands and Belgium, where a call to arms in a performance of Auber’s opera La muette de Portici spread to the streets igniting the independence movement. Take special Art Nouveau tours of Brussels and Antwerp, visiting seminal masterpieces by architects like Victor Horta and Paul Hankar. Visit the Neoclassical Château de Seneffe, designed by Dewez, with its remarkable silver collection and the Neogothic Château de Loppem, designed by the ‘Pugin of Belgium’, Bethune. Explore the magnificent architecture of St Rombout’s cathedral, the world’s only carillon school and the Royal Manufacturers of Tapestry De Wit in picturesque Mechelen. Visit the newly restored Rijksmuseum and The Hague’s Mauritshuis, treasure houses of works by Vermeer, Rembrandt, Frans Hals and Dutch landscapists like by Jacob Isaacksz van Ruysdael. Immerse yourself in the world’s greatest van Gogh collections, the Van Gogh Museum in Amsterdam and the Kröller-Müller Museum. Drive and cruise through verdant Netherlandish landscapes dotted with castles and palaces and cruise Bruges’ and Amsterdam’s picturesque canals. Take a tour of the very latest in European architecture in Rotterdam to see works by masters like Renzo Piano, Piet Blom and Rem Koolhaas. Enjoy lovely bourgeois houses from the 17th to 20th centuries, like Rubens’ and Rembrandt’s houses and the revolutionary de Stijl Rietveld Schröder House. Steep yourself in the quiet spaces of the beguinages of Antwerp and Bruges and absorb the spirituality of the fifteenth-century spiritual movement, the Devotio Moderna. See Belgium through the eyes of its great late-nineteenth and early twentieth-century writers and poets such as Verhaeren, Maeterlinck, Rodenbach and Huysmans.